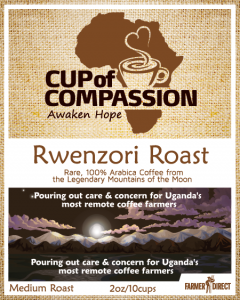 Cup of Compassion is excited to debut its first 100% arabica coffee! Sourced from Uganda’s legendary Mountains of the Moon, it’s a smooth, medium-bodied roast with a citrus aroma and a grapefruit finish. 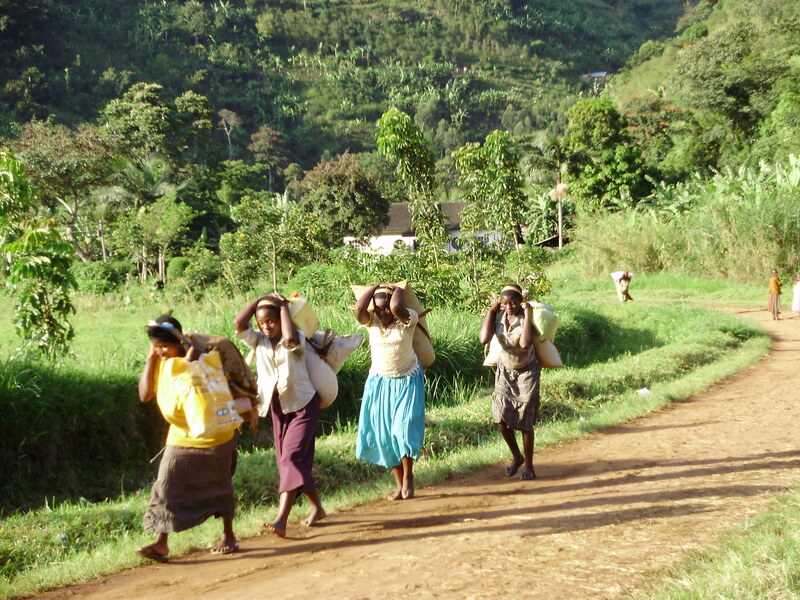 We’ve partnered with trusted community leadership in the Kilembe Mines area in western Uganda to add to our Cup of Compassion product selection this 100% arabica coffee, shade grown in the high Rwenzori Mountains. Warning! Quantities of this rare coffee are limited, so we encourage you to place your order today! You can buy it in 12oz bags (either whole bean or ground) right on the Cup of Compassion Coffee site. Or, if you’re planning to be at our upcoming Orphan Day 5K, you can pick up $3 sample bags of Rwenzori Roast there as well. 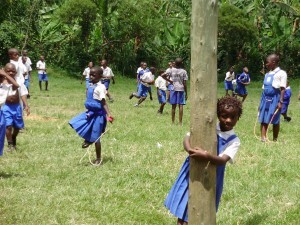 We know you will love this delicious addition to our Cup of Compassion family!